Ivacy reviews straight from our customers! Ivacy has all the makings of a great VPN service. Which VPNs still work with BBC iPlayer? Ivacy is a unique and private VPN service that provides great benefits such as anonymous and secure browsing, unlimited streaming, and the fastest possible network speeds. Ivacy is a comprehensive solution that offers strong security. For over a decade, Singapore-based VPN provider Ivacy has been delivering a service that allows users to overcome online restrictions, protect their privacy and keep their personal data secure. Ivacy is a comprehensive solution that offers strong security, without sacrificing speed. This provider performed well on all fronts. It offers decent speeds and access to blocked content such as that from Netflix and BBC iPlayer. This is one of the trusted VPN and customers are happy. Definitely, if you are looking for good VPN with the decent price then Ivacy VPN stand out well. I must say this is one of the trusted VPN and customers are happy. Security wise, this is a good option, price wise also good. Ivacy VPN has been the center of a lot of attention lately due to its features and pricing. If you are hoping for a VPN that not merely masks your IP but also provides you with complete anonymity and security online, Ivacy should be your pick. Avec la révolution observée dans le secteur de l’Internet, l’on constate avec amertume que les pirates informatiques s’activent de plus en plus pour pirater les informations personnelles. Ivacy VPN has emerged as one of the most promising VPN providers in the industry. The brand holds the potential to become the industry leader. Virtual Private Network services are supposed to deliver the best possible security while surfing online. That said, you should choose the safest VPN provider built with powerful encryption, support multiple protocols, protect against IP leaks, and of course, allow torrenting as well as video streaming too. IVACY offers a purpose-based server selection. Depending on whether you want to browse the internet, stream Netflix movies or use a torrent client, the service will prompt you with the best server for the job. Ivacy, the Singapore-based VPN, comes with everything you need: good security and encryption, a kill-switch, 450+ servers in 100 locations, access to Netflix and BBC iPlayer, and dedicated servers for torrenting and Kodi. In addition, Ivacy provides excellent customer service that’s available 24/7. "Ivacy is certainly one of the best VPN providers in the industry. The VPN client itself looks incredibly sleek and performs well. 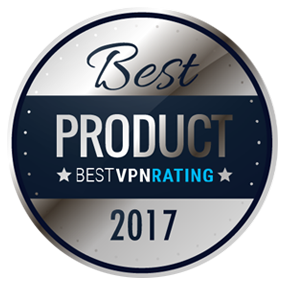 With competitive pricing and great features, Ivacy is a top-tier VPN that we recommend." IvacyVPN should be a first choice option for internet users concerned about anonymity. If you are looking for the affordable VPN service provider then you are in the right place. Ivacy is one of the best VPN service provider at the low cost with the best features. In addition to all the unique features of Ivacy's VPN-solution, they also accept payments in cryptocurrencies. As such, Ivacy is really a modern company with an offering well-suited for what customers in the future will require." Ivacy is the winner of 2019 Best VPN.com. We highly recommend VPN services as it's completely secure and trusted VPN. We care what our customers think of us and we strive to live up to their expectations. SIX months and still going! My love for Ivacy has endured. The user-friendly interface and ton of features like multi-login and split-tunneling are just what the doctor ordered. However, the feather in the cap is that it's REALLY light on the pocket which means that I get more for less! Really pleased with the service. Ivacy works just as well on Mac and Android and the best thing is that I can use it on both at the same time! Definitely one of the Best VPN I've ever tried! I have been using Ivacy VPN for the past six months. I must say that the service is pretty good and most importantly, the subscription packages are just awesome. I strongly recommend Ivacy VPN. It’s been a roller-coaster ride for me. As an avid VPN user, Ivacy has been the best of the lot. With all the features and pricing, it provides the best streaming experience. With 256-bit strong encryption, Ivacy VPN offers foolproof security to my internet connection. I feel completely secure while browsing. Three cheers for Ivacy VPN. There are a lot of VPN service providers out there but Ivacy is the best among them. And I am claiming this only after using their service extensively. Looking forward for a long-term relationship with Ivacy.